More cold expected for tonight and tomorrow night. 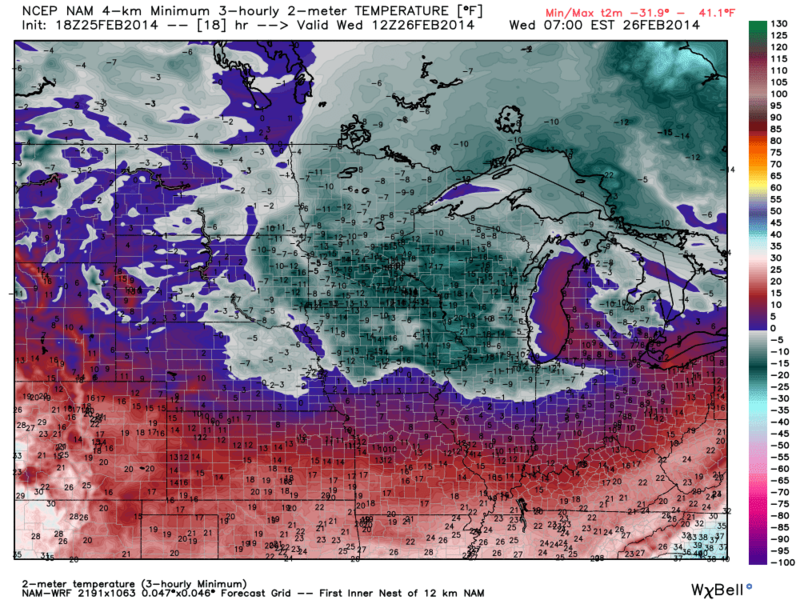 On the left is the GFS computer model for low temperatures Wednesday morning. Notice the widespread temps below -10! 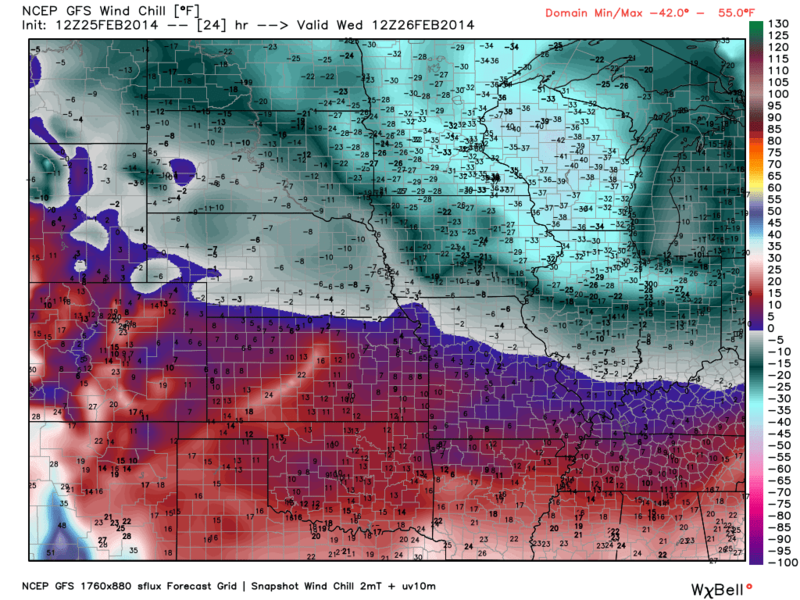 On the bottom is the projected windchills for tomorrow morning off the GFS model as well. Wind chill advisories are already posted for much of the Midwest.